I take on the baton of Blogchatter Ebook Carnival from Preeti whose ebook ‘Life Lived’ is also a part of the mix. About Preeti’s ebook: The book is a collection of 26 beloved memories of the author. The varied emotions of happiness, sadness, suffering, and hopefulness experienced by her as a child, a sibling, a friend, a parent and as an Individual, will strike a chord with anyone and everyone. I love books and I love them since I learnt what books were. I’ve found my solace in books since my childhood. The more I read, the more I craved to write. I kept writing occasionally and then was born the dream of being a published author someday. Happiness indeed is having your book published! That being said, the journey of being a published author is definitely not an easy task. There a plot or outline to think of, actual writing to do, editing it and editing it some more. That’s just the beginning. Finding a publisher who’ll publish your book and then finally getting it published and marketing it is another set of daunting tasks. Being someone who has a full-time job, there was barely any time to sit down and think of penning a book. After a long day at work, all I wanted to do was eat, read and then sleep. The task of sitting down and writing something of my own, though therapeutic has been a difficult one. 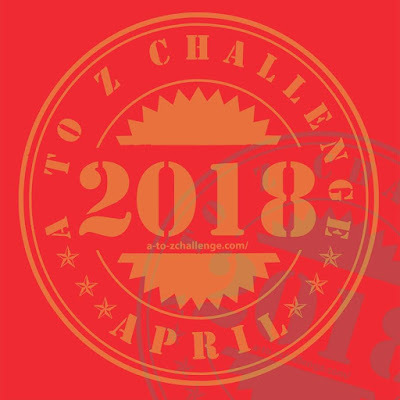 But something about the A to Z Challenge drew me to write regularly and then there was Blogchatter that brought together my plan of writing for the A to Z challenge and being a published author! For three years in a row now, I’ve published three books all because of Blogchatter’s Ebook Carnival. All of these three books were written as a part of the A to Z challenge that happens every year in April and were published as a part of the Ebook Carnival by Blogchatter. Seeing each of these books published gives me joy. This time it was all the more special because my third book was published on my mom’s birthday and a ha-trick is always special, isn’t it? I did a happy dance each time someone told me that they’ve downloaded my book and I still do! The feeling when someone walks up to me and tells me that they read my book and they liked it makes me happy. Each review of my book gives me a feeling of satisfaction of having done something worthwhile. There is indeed joy in being a published author! I feel happy because writing this book especially wasn’t easy. There was the task of motivating myself when all I wanted to do was sleep. There were times when work came in the way of my writing. Hence, after all of the pain and trouble that it took to write this book, I am happy. I know that these are just baby steps but I’m glad I’m making progress. Every time someone tells me that they’ve read my book, makes me want to write even more. The journey has just begun! If you haven’t downloaded the book already, then download it now! You can download Peiskos here. I pass on the Baton of Blogchatter Ebook Carnival to Neha whose ebook ‘Digital Marketing for Small Businesses’ is also part of the mix. About Neha’s ebook: Online Marketing for small businesses is a beginner’s guide for start-ups, small businesses and personal brands wishing to start online marketing. This guide will help them understand the jargons, to do things on their own to start with an online marketing plan. Congratulations on your 1st publication and becoming a published author. Keep writing and keep doing better things in your life for others as well as you.